Happy Saturday guys. Hope you’ve all had an amazing, productive, positive week! On the Wednesday just gone, (30th August) I was asked to attend a Clarins beauty event/workshop/masterclass in John Lewis in Liverpool One hosted by the very lovely Danielle over at daniellelevy.co.uk. Go check out her blog, its amazing! Covering everything from her niche of nursing, to beauty, fashion and all the amazing events she gets to attend! 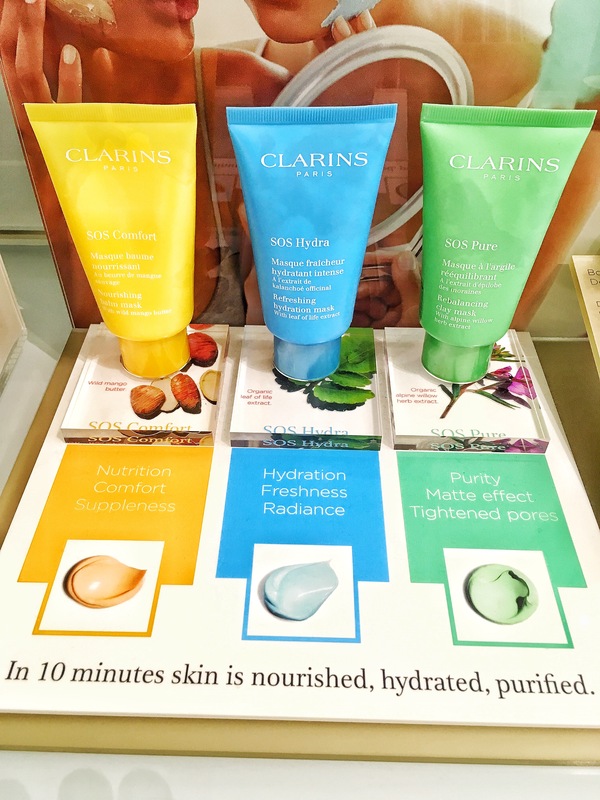 With my sister by my side (she couldn’t miss out on some serious skincare info) and a handful of other local bloggers we were introduced to the Clarins brand; where they came from, what they stood for and what sort of products they created. In all honesty, Clarins isn’t a brand that I’d normally reach for – in terms of beauty and skincare I do like to go for more high street bargains (and you do find some amazing products from the more ‘high street’ brands) but even if I was turning to more high end products, Clarins are perhaps a brand I’d always overlook. For me, it was deemed as being marketed towards the more ‘mature’ demographic. Anti-ageing and all that jazz. I can now assure you this narrow minded view of mine has 100% changed and for FYI, anti-ageing products are essential for everyone!! 1st up was the trend of multi-masking – applying several different masks to different areas of the face to target different needs. 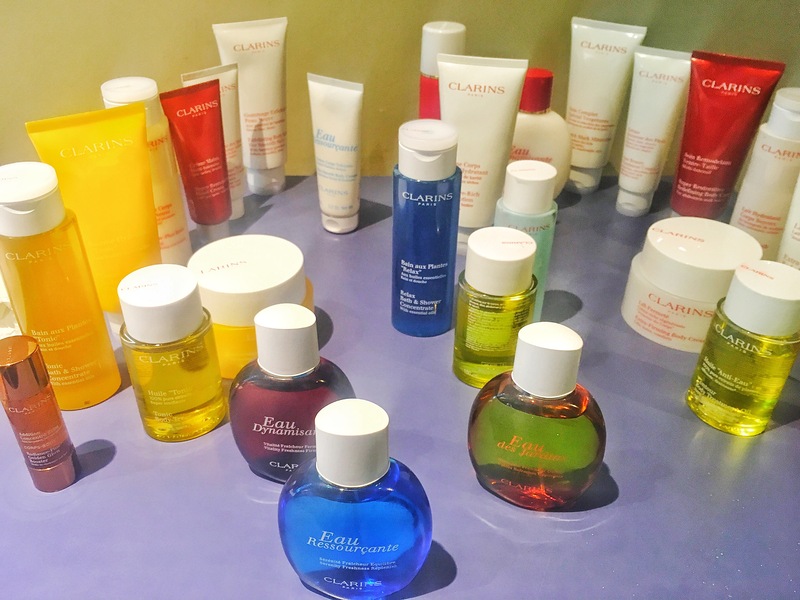 In terms of Clarins approach, it would mean that everyone would have a unique and personalised beauty routine as each person’s skin would differ in different areas eg. a more oily t-zone but you may need a lot of moisture and hydration around your eyes. You get the jist! 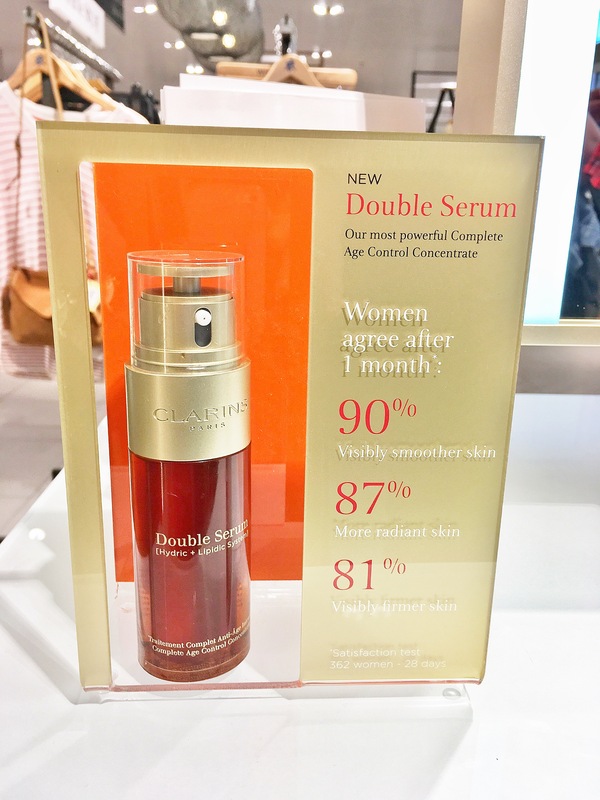 The star of the night was Clarins Double Serum – a rich concentrate of 20+ plant extracts. This improved version introduces the power of turmeric which is perfect for anti ageing and is basically an all round super food! It helps to tighten pores, give your skin radiance all whilst reducing wrinkles and retaining your skin elasticity. The one thing I loved learning about this product was its versatility. I love it when products are multi purpose as I really feel as though I’m getting my money’s worth! It can be used on your hair, nails, face, mixed in with your body cream, hand cream – anything! There were a lot of people there who sang it’s praises and from talking to the people who used it regularly (including Danielle herself) I did notice their radiant complexions. No joke! 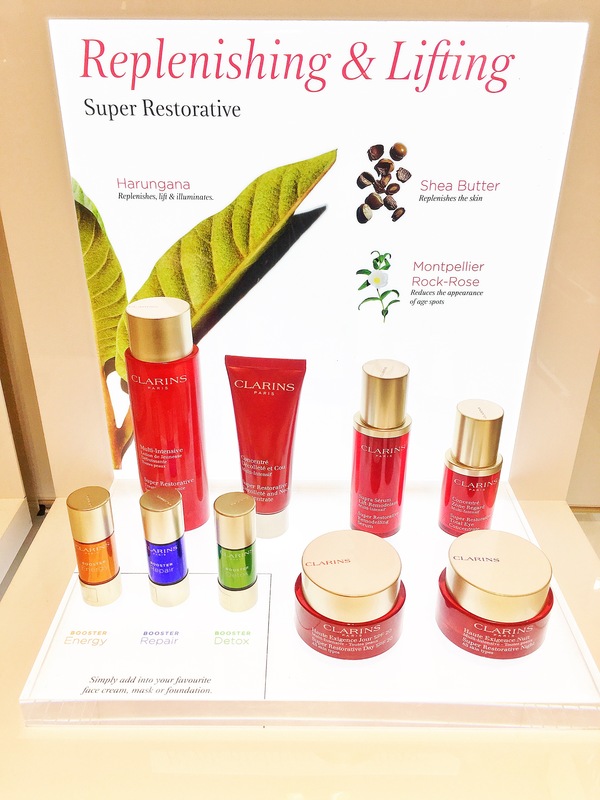 Clarins are at the forefront of the skincare and beauty world with their unique ethos for plant science and technology. I loved learning more about them as a brand and what they aim to do to transform people’s skin around the world from products you can use at home, to the unique formulas they create when you visit them in their very own Spas. My favourite products to learn about were the collections of ‘Boosters’ which can be added into your face mask or moisturisers to give that extra shot of ‘oomph’. 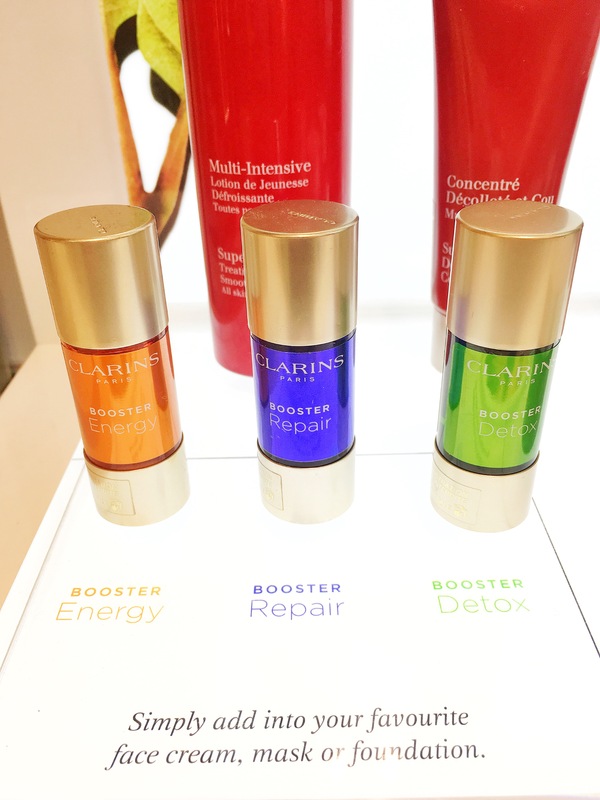 The lovely Clarins girls showcased the ‘Energy Booster,’ – basically calling it ‘Lucozade for your skin’ in terms of its ability to fight fatigue and dullness and it spoke to me on new levels. It really did. One dash of oil would be enough to long lasting results and a revamped skincare routine! Overall, the night was an absolute success for Danielle and the amazingly knowledgeable and passionate team at the Clarins Spa and beauty counter over at John Lewis Liverpool One. We were even lucky enough to win goodies on the night alongside taking home a goody bag of samples of some of the products mentioned throughout the night. Looking forward to sampling them and perhaps making purchases in the near future! For now, me and my sister are currently planning to make a return to the Spa to book in for one of the amazing treatments they have on offer! Find the Clarins BeautyBar on the 1st Floor of John Lewis in Liverpool One, South John Street. 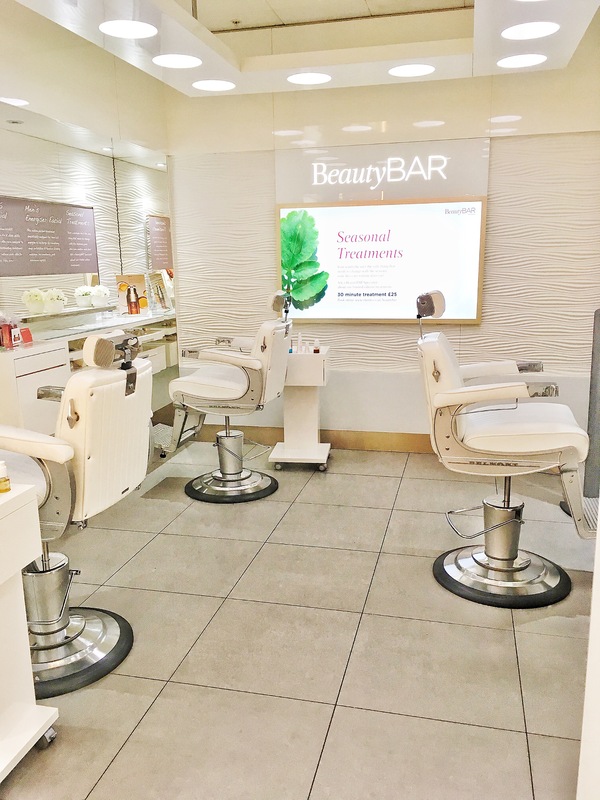 More information on the available treatments offered in both the BeautyBar and Clarins Spa can be found on the John Lewis website. Or if you pop in, the girls on the counter are so friendly and welcoming!